Solar inverter specialist SolarEdge has sought to tie together the “related revolutions” in energy and transport with its recent M&A activity, the company’s VP of marketing and product strategy Lior Handelsman has said. “There will not be an electrification revolution within mobility without some adaptation of how we generate, consume and transform energy because all of these cars will have to be charged somehow,” he adds. We are talking to discuss the company’s recently-announced acquisition of SMRE, an Italian integrated EV technology firm. 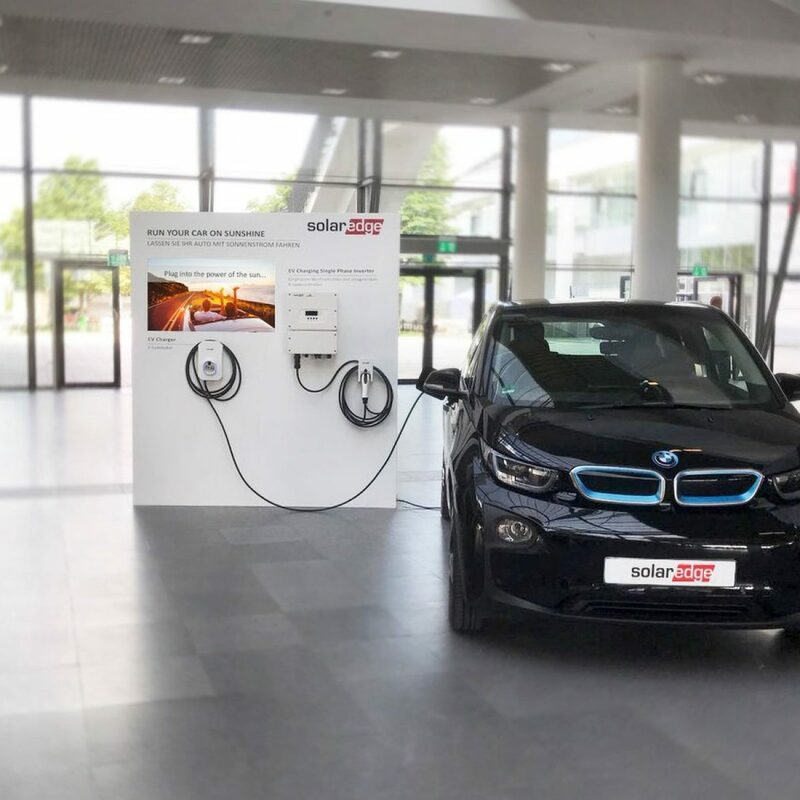 SMRE has since 1999 been producing e-mobility solutions including powertrains and battery management systems (BMS), software and a range of other critical components. SolarEdge agreed to purchase 51% of SMRE for an investment of around US$77 million, valuing the Italian company at US$150 million. Handelsman said that while there are no immediate plans to integrate the EV company’s technologies with SolarEdge’s own offerings, or indeed with the supply chain of Kokam – the battery and storage system manufacturer SolarEdge bought into in 2018 – there are obvious synergies. The acquisition feeds into the inverter and smart energy company’s overall ‘masterplan’ to involve itself in the full gamut of distributed and clean energy market segments, according to the SolarEdge co-founder, who is also VP of product strategy and marketing. “We are at an interesting time when the world of energy and the world of mobility are changing and are changing together and that change is also related,” Handelsman says. In our recent look ahead to 2019’s energy storage market dynamics, several commentators highlighted that lithium-ion cells for energy storage projects were often hard to come by due to supply constraints and demand being quickly absorbed by rapid adopters like South Korea. Having acquired a 75% stake in Kokam, itself headquartered in South Korea, for around US$88 million, Handelsman says SolarEdge will have immediate supply chain access that could be leveraged to support SMRE. That said, at present, SMRE does not buy its batteries from Kokam and there are no immediate plans for it to do so. Handelsman points out that the EV market can be slow moving to change at times and changes in equipment suppliers or production line methodologies can take much longer to implement than in the solar or energy storage spaces. He also says that, such a short time since the acquisitions, it is still to be decided which areas of synergy SolarEdge will be able to capitalise on. Nonetheless, we often still hear arguments pushing back against electric vehicles along the lines that if the generation fuelling those cars is not clean, the benefits are limited. For SolarEdge to acquire players in both EV and battery spaces makes that link fairly explicit. EVs are in some ways just “mobile storage” on wheels says Handelsman, and for example, charging their batteries at night from off-peak energy, even if not renewable, is still cleaner than charging during the peaks in most parts of the world. It sounds an exciting investment for SolarEdge, which apparently is not looking to alter SMRE’s business activities in any way, at least in the near future. After all, the EV market is worth billions more than the inverter market or the energy storage market and it makes sense for each of SolarEdge, Kokam and SMRE to continue with business as usual, albeit that Handelsman points out in theory Kokam could supply batteries suitable to applications in all areas, long-term. “I’m not sure there is an immediate link between what we can do in delivering e-mobility and our solar customers tomorrow,” Handelsman says.